Remodeling homes is one way more South Texas and Atascosa County area homeowners prefer to update their home. However, when you need quality remodels, it helps to hire an affordable and professional local contractor to assist you. Domain Home Crafters has been offering the best in local South Texas remodeling services. No matter what condition your home may be in around the greater Pleasanton and San Antonio area, we can help you with better custom home building options. With 25 years of construction experience, we can offer a better home remodel for less. With custom homes and remodeling services we give you exactly what you need. Our focus is helping you realize your dream home, above and beyond what any big city or national home builder is capable of. And more services to help you achieve your dream home. Whether you have a growing family, need more space in your existing home, or have recently bought a piece of investment real estate, we can help you. When you need better ways to customize your home, we offer the best in affordable solutions each time. Kitchens are often a popular room to customize for more homeowners. With heavy daily use and often less than functional floor plans, most people choose to upgrade their kitchen over most other rooms in their house. With custom built cabinets from a skilled and experienced carpenter, new appliances professionally installed, and other custom additions, we can give you the kitchen area that you have always wanted. Whether you are looking for an all stainless steel kitchen, a more industrial look, or other custom look, we will gladly help bring any idea that you have to life. When cookie-cutter house plans and other basic home construction designs leave a lot to be desired, we'll work hard to bring you the home that you have always dreamed of living in. 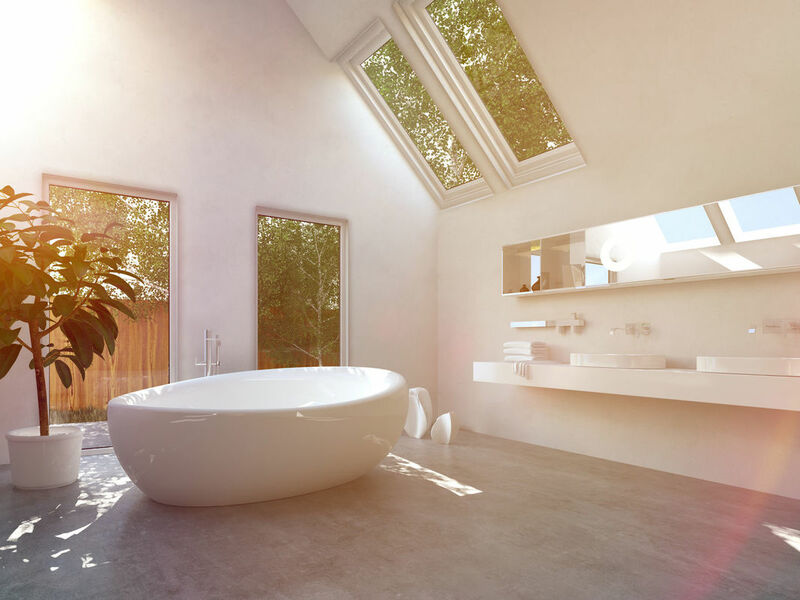 ​Another common place for home remodels is in bathrooms. Most bathrooms are built cheaply, with not enough living space, storage space or functionality for most homeowners and their families. Small rigid storage spaces and outdated plumbing fixtures that have no personality are too common in older homes and there’s a reason why more bathrooms are ideal for home upgrade options. Whether you are looking for custom cabinets, walk-in showers, soaker tubs, and other new custom features, we can help you transform your bathroom into the master retreat you deserve. Our remodel services do not stop there. Wherever you would like to see new life breathed into your home, we can help. No matter what space you would like to upgrade, Domain Home Crafters are experts at delivering results. From entertaining outdoor living spaces to functional interior areas, we can achieve the dream look for your home. For the best in local remodeling construction services, call your local custom home professionals. With fast, dependable service and the experience you can rely on, we are the best choice for more South Texas area homeowners.